What Are the Different Types of Controls? 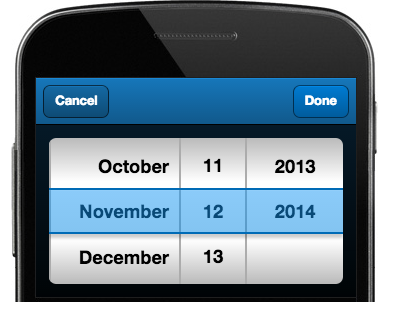 This is a specialized field which shows a calendar layout when tapped. If it has a predefined value or a value is selected in the calendar picker, it will be displayed like a normal text field. The field’s HTML name attribute. This property comes from the first element in the control name. This field contains a copy of control name property from the Plex panel. The label of this field. Alternative way to set a label of the field. For example: Plex edit field control name is set to myField. The width of the field label. The value defaults to 40% unless specified in the controlName. The param name to specify the width is called width. The start year for the calendar picker. If yearFrom is greated than yearTo then the order of years will be reversed. The last year for the calendar picker. Whether or not the component is disabled. Whether or not the component is hidden. The calendar field value. Accepts an object of ‘year’, ’month’, and ’day’ values, all of which should be numbers, or a Date. Attempts to set the field as the active input focus. Fires when the field loses input focus. Fires when a date is selected. This is a specialized field which shows a slot date picker when tapped. 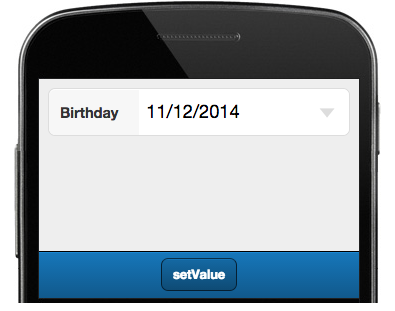 If it has a predefined value or a value is selected from the date picker, it will be displayed like a normal text field. The CSS class to add to this control element. This page template will launch the device browser to the URL that is set to the panel caption. This page template will display the Panel's caption in a title bar that is docked to the top of the screen. This is a simple container for HTML5 Audio element. The unique id of this control. The location of the audio to play. This is a container for a button that will launch the device camera, and return a Base64 encoded string for the image taken. In Plex, the field must be a VaryCharacter Edit Field in order to store the full Base64 string. The control will only work if the application has been properly packaged and installed on the device. Optional CSS class to add to the icon element. This is useful if you want to use a CSS background image to create your Button icon. The list of iconCls that can be used are below. Optional style to apply to your button. 'normal'- a basic gray button (default). 'action'- shaded using the $active-color . 'decline'- shaded using the $alert-color . 'confirm'- shaded using the $confirm-color . Triggered after a photo is taken and accepted. The checkbox field is an enhanced version of the native browser checkbox. It enables the user to choose one or more items from a set of options. The Text value of the field in Plex will be the label for the field. The unchecked value of the field. The checked value of the field. The value to submit if the item is in a checked state. Fires just before the field blurs if the field value has changed. A component to display combo field. An array of select options. A value to initialize this field with. A component that allows data to be saved to local storage. This component is not shown. The saved cookie is loaded into the field when the component is painted onto the screen. When the field's value is Put in Plex, the cookie is saved. A component to display input field. For attaching another edit field on the same row. A string value displayed in the input when the control is empty if specified in the control name. The maximum number of permitted input characters. Fires when a key is released on the input element. An editable DataView which allows editing an array of data. The base CSS class to apply to this component’s element. The Grid Header Columns will be create with CSS class of "*gridClass*h". 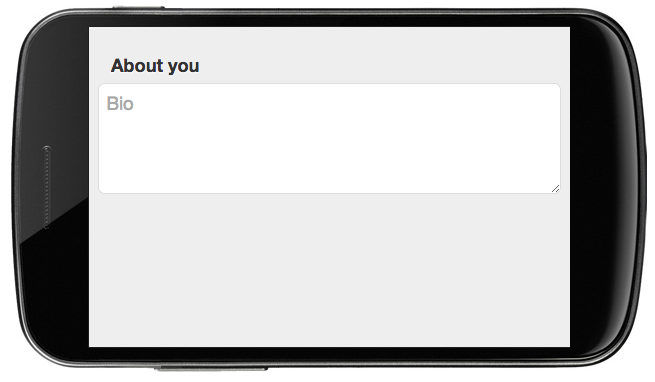 For example, if gridClass = myGrid, then the CSS class will be "myGridh". True to display a disclosure item on each list item. Whether or not to group items in the provided Store with a header for each item. True to render an alphabet index bar docked on the right. The template to use for each of the items displayed in the DataView. Please note that for this control template, the tplGenerator should be set to " wcli.util.gridColTpl". An additional CSS class to apply to items within the DataView. The template to use for each of the columns displayed in the DataView. Please note that for this control template, the renderTplGenerator should be set to "wcli.util.gridColHdr". Can either be a Store instance or a configuration object that will be turned into a Store. The email field creates an HTML5 email input and is usually created inside a form. Most browsers will show a specialized virtual keyboard for email address input. The name of the contact person. Alternative way to set the contactName attribute. For example: Plex edit field control name is set to myEmail. Display confirmation button if set to true. The default value is false. Display the text set in Plex panel properties. Is a custom styled DataView which allows Grouping, Indexing, Icons, and a Disclosure. Fires whenever an item is tapped. Displays custom html in an edit field. HTML content to render inside this Component or a reference to an existing element on the page. A component to display a link. Loads the "Latitude, Longitude" of the device location into the edit field. This control will take a Google Map search string entered into the edit field and turn it into the "Latitude, Longitude" of that location. This field is always hidden and will need to be set by Plex code. A component to display Google Map. Set using a separate control with the name "MapType". Defaults to "roadmap" if none if found. Set using a separate control with the name "Zoom". Defaults to "12" if none if found. Set using a separate control with the name "MarkerText". Defaults to blank if none if found. This page template is used to display Plex Dialog, Log, and Enquiry messages. You will just need to inherit from this template to use this functionality. Creates an HTML textarea on the page. This is useful whenever you need the user to enter large amounts of text. The maximum number of lines made visible by the input. The default value is 5. Fires when the panel is first show on the device screen. 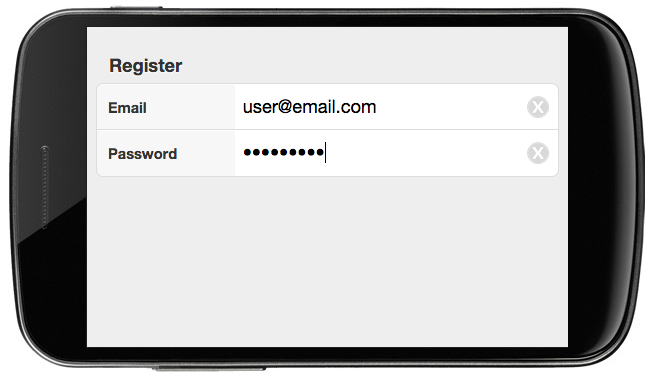 A component to display the password field. When the user enters text, it will show up as stars. This control is designed to call the phone number entered into the edit field. This is a normal edit field that is used for entering phone numbers. Most browsers will show a specialized virtual keyboard for phone number input. Fires when a button is pressed. This is a simple edit field that has a custom UI for searches. This is the root template for the mobile web application. The following attachpoints are defined. Contains HTML elements that appear in the HTML <head> tag. 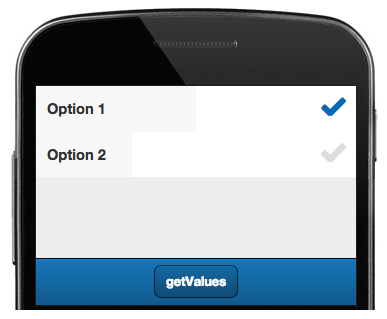 Contains WebMobile controls that appear at the top of the web panel. Contains WebMobile controls that appear at the content pane of the web panel. Contains WebMobile control that do not appear on the web panel. 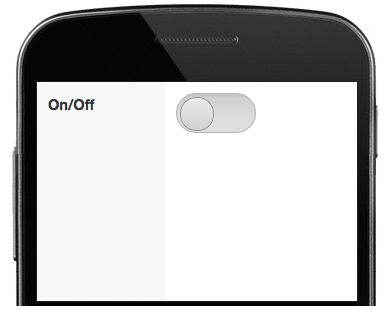 Contains a Web Mobile control that expands to the size of the panel. Typically used for a list. Contains Web Mobile controls that appear as elements in the toolbar. Contains Web Mobile controls that appear as elements in the tabbar. Contains WebMobile controls that appear at the bottom of the web panel. Contains CSS codes for the current panel. This control automatically handles ChildSites in the Panel. This should never have to be specifically referenced. A component to display HTML5 number field. A CSS class to override the base class CSS. A component to display text. A different presentation of the normal WebCheckbox control. It displays a slider instead of the usual checkbox. The Text value of the field in Plex will be the label for the field. A component to display a link. When a user clicks the link, the link will be opened in a new blank page. A component to display an image. When the image is clicked, it will trigger a Plex event. If set to ‘background’, uses a background-image CSS property instead of an <img> tag to display image. The default value is ‘background’. Fires when the image in tapped. A component to display HTML5 Video. Location of the video to play.